After a first in team history four game skid in late October/early November, the Stars have rattled off seven wins in the last nine games. Their wins have included some of the division leaders such as San Antonio and tonight's victim, the Oklahoma City Barons. "It wasn't the prettiest two points tonight," said Francis Wathier, who had a goal in the game, "But it got the job done." Even though it was ultimately Texas's night, the Barons opened the scoring with former Wolf Greg Stewart tallying his second of the year just 6 minutes into the game. Just over a minute later, Luke Gazdic would tally his second off the year on a tap in at the post from Brad Lukowich's shot. Gazdic was playing on a new line this evening with Tomas Vincour and Cody Chupp. Texas scored again only 70 seconds later off the stick of the Stars' leading scorer, Travis Morin. Morin scored by collecting a rebound in the crease for his 8th of the year. Coming off a penalty kill for Mathieu Tousignant's holding the stick penalty, Tousignant collected his 4th of the year. At Texas's blue line, Tousignant beat a pinching Barons D-man and generated a 3-on-1 against Shawn Belle. Tousi took it in himself and beat Deslauriers easily, as Deslauriers seemed to think the shot would go wide and didn't even go down for it. Texas would end the period ahead 3-1 by score and 15-10 by shots. Bryan Pitton came out of the tunnel for the Oklahoma City Barons in the second period, his first game action since October 23rd. Liam Reddox cut the lead in half for the Stars at the midway mark of the period. This was one of those points that Coach Gulutzan has talked about, buckling down when things get tight. Texas came together and generated a goal from Colton Sceviour on a backhand into a wide open net just 5 minutes later to make it 4-2. Texas led on shots 29-16 at the end of the second. The Stars got one more for insurance in the third period on a great forechecking effort from Sean Backman. Backman got in deep and forced a stickhandling error by goalie Bryan Pitton. He sent the recovered puck out front where Francis Wathier buried his eighth of the year. 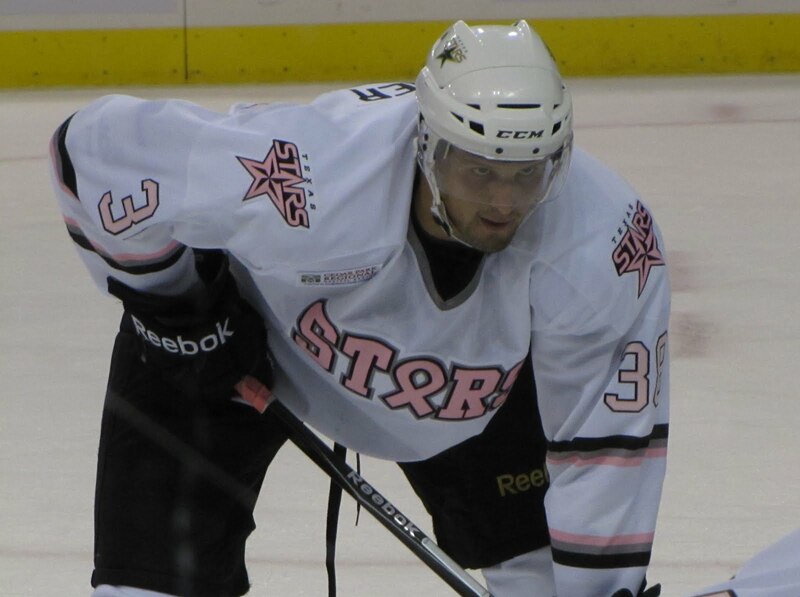 Richard Bachman turned aside 29 of 31 shots on the night and earned first star honors yet again. The rookie graciously deflected praise onto his teammates, "They're clearing a lot of pucks for me and letting me see it so they're making my job pretty easy back there actually." Bachman has now brought his stats to an enviable 8-3-0 record with a 1.94 GAA and .933 SV%. There are still points for improvement though. A power play that is struggling to maintain consistency will need to step up before the team goes out on the road, where they have the worst power play percentage in the league (8.1%). The Stars have 3 more home games to tune up before heading out on the road for a four game road stretch. I like moving Sean Backman to a line with Gagnon and Wathier. It worked tonight, generating a goal. Greg Rallo had a fight, of all things, in the game, throwing down with Colin McDonald in the first period. Severin Blindenbacher has been reassigned to Texas. The defenseman did not appear in any games for the Dallas Stars. After quite the goalie battle in Cedar Park last night, the Texas Stars will face off against a team on one heck of a roll. The San Antonio Rampage come into tonight's game on a 7-game win streak with no indication of slowing down. The Rampage are solid on both sides of the puck. San Antonio ranks #5 in the league with a 3.40 goals for per game but is equally stingy, ranking #4 with a 2.50 goals against average per game. On the top scorers list, Stars' fans will recognize a few names from last year's Texas team. 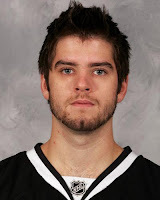 Mathieu Beaudoin leads the Rampage with 9-13-22 in 20 games. Brett MacLean (9-10-19) and Mikkel Boedker (5-13-18) round out the forward scoring. Top defensive scorer is Garrett Stafford with 3-12-15 in 15 games. Stafford has had a callup to Phoenix. In the pipes, Matt Climie (9-3-0) and Al Montoya (5-2-0) have both been solid. Climie sports a 2.06 GAA and a .935 SV%, Montoya 2.88 and .901. There isn't really a lot to say about this game for the Texas Stars. It was a fantastic performance by both goaltenders Bachman and Dekanich. In the end, Dekanich was the victor. Texas and Milwaukee both finished the game with 29 shots each in the game. Where Texas could have made the difference is the power play. Texas was 0/7 on the power play in the game, including a 64 second long 6-on-4 stretch at the end of the third period. The only goal of the game was scored with 6:34 remaining in the third period from former Dallas Star Steve Begin. Richard Bachman received 3rd star honors for the 28 save performance. Texas and Houston face-off again in the back half of a home-and-home. As per usual with consecutive games against the same team, we'll limit the analysis a bit here. Texas should be putting out Richard Bachman for this evening's game. Bachman, last week's AHL Player of the Week, is 5-2-0 on the season with a 1.91 GAA and .937 SV%. Backup Tyler Beskorowany stopped 27 of 30 shots in his AHL debut but took the loss in H-town. On the Houston side, Matt Hackett actually returned to the team in time for Sunday's game. Anton Khudobin is having an excellent statistical year (2.06 GAA and .933 SV%) despite his mediocre record of 6-5-1. When you see stats like that, it's an indication of a lack of scoring support. Indeed, Houston ranks in the bottom half of the league in goals for per game at 2.65. Their goals against per game is top ten at 2.55 and Texas is not far behind at 2.59. The Stars also lack offensive punch at times, tied with the Aeros at 2.65 GF/Game as well. In the Stars last meeting with the Aeros, Tomas Vincour was knocked out of the game in the first period by an elbow from Colton Gillies. 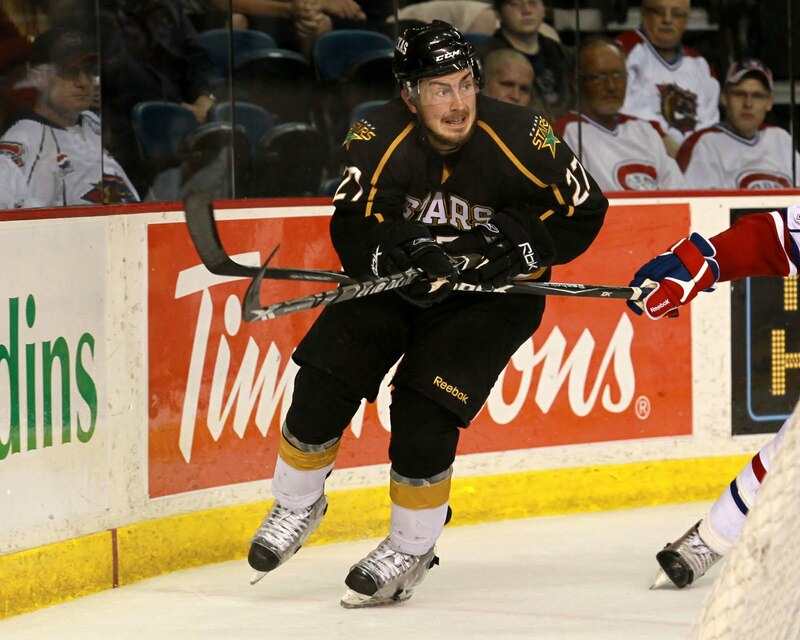 Vincour did not return and is currently listed as day-to-day with an unspecified upper body injury. Goalie Brent Krahn is still on the shelf with a lower body injury but is listed day-to-day as well. This year, the AHL has instituted a two referee system in 25% of their regular season games and all of the Calder Cup playoff games. Given that the AHL is a development league for players, coaches, and referees alike, this has been presented as an opportunity for all of those people to gain experience with the two referee system that is used in the NHL. The NHL first switched to a two referee system on a trial basis in 1998-99 and made the switch permanently in 2000-01. With the renewal of the NHL's development contract for officials in the AHL this year, the NHL requested that the AHL phase in a two referee system to allow developing refs to gain experience with the system. Surprisingly, one of the major concerns voiced by the NHL is the officials' proficiency in backwards skating. 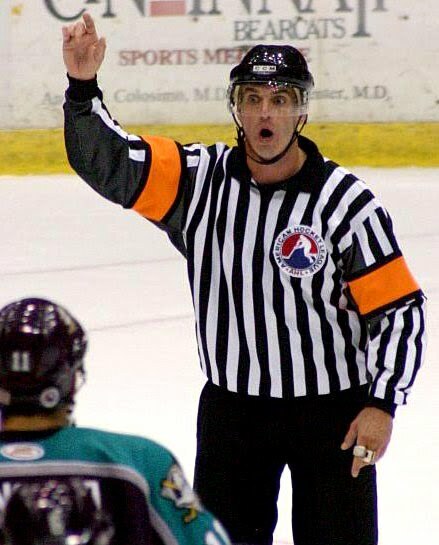 "When you are in the one-ref system, you are like a forward -- going forward all the time," NHL Director of Officiating Terry Gregson told NHL.com. 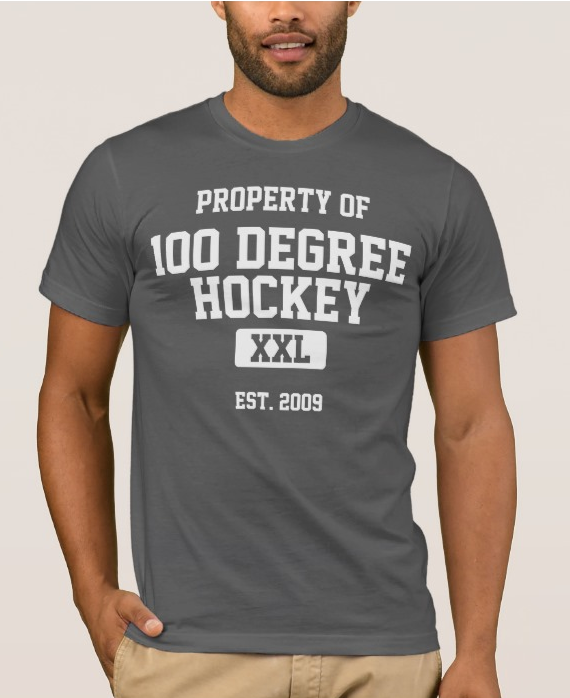 "And when you go to the two-ref system, you have to switch to backwards skating, which is a very important part of the skills set." So far this year, Texas has played 17 games with 4 of them using four on-ice officials. In the four games with the extra official, Texas has averaged an extra minor penalty (11.23 PIMs/game vs. 13.75 PIMs/game). However, the statistical validity of a 4 game sample is debatable, surely. Overall, the Stars and their opponent have been penalized only slightly more often in two referee games (27.75 PIMs) than singles (26 PIMs). Texas Stars Head Coach Glen Gulutzan is a fan of the changes. "I think if you let guys at this level do it for a longer period of time, they'll get a little better at it, a little cleaner at it and the games will become more well managed." Gulutzan hasn't seen a huge difference in the number of penalties called in his estimation, which we've shown with our data. He does feel like it brings more certainty to the game. "Every night [referees are] making calls that they kind of see because it's hard for one guy. [Having two refs] takes a little bit of that guesswork out of it." Photo credit to Rick Dikeman and Wikimedia Commons. Texas's win streak came to a close this afternoon in a Saturday matinee against the suddenly hot Houston Aeros. The Aeros and Stars now have the same win-loss record of 10-7 but the Aeros are higher in the standing as they have played 3 more games and got the extra "loser" point in each other them. The Aeros opened the scoring in the game with Matt Kassian grabbing his first of the year on the wraparound. The early 1-0 lead would be quickly relinquished. Severin Blindenbacher bombed one on Khudobin from the right wing circle and beat him stickside to make it 1-1. The goal was Blindenbacher's first of the year. Texas jumped ahead in the 2nd period on a power play goal from forward Greg Rallo, his fifth of the year. From there on out however, it was all Aeros. Houston tied it up on the power play with one second remaining in the period. Former Stars Warren Peters tapped in a rebound to make 2-2 heading into the third. Sean Backman swapped spots with Tristan King before the game. King is now assigned to Idaho where he will get a chance to get into some games, something that he is not getting right now here in Cedar Park. Tomas Vincour did not return to the game after taking an elbow from Colton Gillies in the first period. Back-to-back games were no problem for rookie goaltender Richard Bachman this evening as he turned away all 26 shots he faced for his second shutout of the year. After trading early scoring chances turned aside by Bachman and the crossbar, Texas and Milwaukee spent a lot of time on the power play. The two teams are the least penalized in the league yet combined for 14 penalty minutes in the first period. Neither team could capitalize on the power play as the periods only goal came at even strength from Greg Rallo. Rallo skated in alone and, using the defenseman as a screen, beat Mark Dekanich gloveside high. It was Rallo's fourth of the year and was assisted by Morin and McCulloch. Texas beat the Admirals in shot count 10-4 in the period. Texas continued its shot dominance in the early second period, leading 23-7 at one point in the frame. One of those 23 was off the stick of Ray Sawada at 3:45. After repeated Howitzer shots from Larsen on the blue line, Sawada potted his first of the year in the crease. Milwaukee evened up the shots in the second half of the period with a 96 second long 5-on-3 power play. The Admirals could not make the power play count as Texas crushed the advantage, gaining hearty applause from the CPC crowd. Later in the period, Texas continued excellent special teams play by spending an entire power play in the Milwaukee zone. The shot count on the period closed at 24-15. Texas shut it down in the third period and got the shutout for Richard Bachman, who was the first star of the game for the second night in the row. Bachman has allowed 1 goal in the past 120 minutes of play and 4 in the last 180. He has now dropped his GAA to 1.91 with a .937 SV% and a 5-2-0 record. "I though Bachman made the saves he had to tonight," said Coach Glen Gulutzan. "Last night I thought he won the game for us." Texas has now won 4 in a row, a season high for a winning streak. "We're gelling more as a team," said Bachman postgame. "We know where guys are going to be and what to expect." Coach Gulutzan credited the streak to Texas's continuing maturation as a young team while tipping his hat to the veteran players who have helped to reinforce his system of play. "Our game is starting to develop an identity," added Coach Gulutzan. "I think we might have had it earlier last year, but we're certainly starting to develop it." The Texas Stars had a historic night, dropping a franchise record eight goals on the Wolves, including six in the second period. It was a complete game for the Stars that can build momentum as they move toward more rigorous scheduling ahead. Chicago opened the scoring in the game as Akim Aliu maneuvered down the left wing side and edged out Philip Larsen to score stickside high on the backhand. Later in the period, with one player in the box for each team, Texas would get a 4-on-4 goal. Severin Blindenbacher hit Greg Rallo with a pass right in the crease from below the goal line. Rallo took the pass falling down and scored both with the puck and his body for a 1-1 tie. Chicago would take the lead to close the period as Pettersson scored on a slow dribbler to the right corner of the net. The second period was where the Stars really lit it up though. Texas scored six goals in the period, including five power play goals on five chances. It got started with a point shot from Fortunus was tipped by Francis Wathier to even the score at 2. Fabian Brunnstrom found Travis Morin in the high slot for a 3-2 lead and then Texas didn't look back. Luke Gazdic scored his first home goal of his Texas Stars career on a wraparound on the right post to make it 4-2. The crowd went wild. With 5:52 left in the period, Andre Deveaux boarded Trevor Ludwig, with Ludwig's head going right into the top of the dasherboards. Ludwig got up successfully and Texas was awarded a five minute major PP. Texas got PP goals from Tomas Vincour, Tousignant, and Aaron Gagnon on the PP. Gagnon's goal was scored on an extended 5-on-3 with Boris Valabik in the box for roughing after Tousignant's goal. At the end of the period, Texas was up 7-2. "So much of this game is momentum," said Dan Spang after the game. "We got it and the last thing we want to do is give it back, so we kept our foot on the gas pedal." Spang had 3 assists on the night. The third period was mostly quiet. With under two minutes left, Texas forward Vincour got his 2nd of the night on a nice pass from Roman in the left wing corner. The final was 8-2. The six goal second period was the most goals scored in a period by the Stars in Texas history. Prior to tonight, Texas had scored 6 goals in all of their second periods combined. Texas's 5/5 power play night vaulted them from #28 in the league on the overall power play to #11 with an 18.5%. Additionally, Texas jumped from #15 in the league on home power play to #2, just behind Peoria, with a 27.5% clip. Coach Gulutzan commented postgame: "Now we just have to find that level of consistency night in and night out." While we won't see 8 goal games very often in the league, Gulutzan is confident that the net presence and other "little things" that the Stars did tonight will help them to have to confidence to win those 3-2 and 2-1 type games. Lots of shuffling and other attempted lines tonight. Gazdic scored his goal shifted up on a line with Morin and Rallo. I think he deserved a "fourth" star in the game. He had a goal, some great offensive plays, and excellent back checking. "It was exciting [to score at home]," said Gazdic. "It's good to get that one off my back and do something at home other than fight." Texas announced that they have recalled Adrien LeMay from Allen this afternoon. Release follows. The Texas Stars announced on Monday that goalie Adrien LeMay has been recalled from the Allen Americans, the Stars’ Central Hockey League affiliate. The rookie goalie has seen action in six games this season, compiling a 4-1-0 record while posting a 2.85 goals against average and a .914 save percentage. A Moncton, New Brunswick native, Lemay went to Allen after two seasons in the QMJHL with the Lewiston MAINEiacs. The number 1 and 2 finishers from last year's West Division are both currently on the outside of the playoff picture looking in. Of course, it's a little silly to mention the playoff picture 12 games into the season. Those of you who watched the standings all year last year will recall that both Texas and Chicago went through stretches similar to their current one last year. Texas's stretch was in the mid season and Chicago's was at the beginning. The Wolves were outside the playoff picture in January and had a great second half of the season to skyrocket into first place. Texas had the same situation in reverse. Since Chicago and Texas last squared off in Rosemont, Chicago has played four games and is currently in the middle of an 8 game road trip. The Wolves dropped 2 of 3 over the weekend against other West Division opponents. Currently the Wolves are in a bit of a goaltending predicament. Both members of last year's tandem of Peter Mannino and Drew MacIntyre are still in Chicago. However, injury to Atlanta tender Ondrej Pavelec forced the call-up of Edward Pasquale, a rookie. His play so far (5-3-0, 2.41 GAA, .916 SV%) has surpassed the play of both other netminders and has been stealing starts from Drew MacIntyre. Over the last four games, Mannino has started three and Pasquale once. MacIntyre backed up Mannino in two of his starts but was a healthy scratch in the other two games. In the special teams department, Chicago is near the top of the list in power play (#3 at 22.8%) and near the bottom in penalty kill (#29 at 74.6%). Hopefully Texas has taken advantage of the time off this week to work on the power play and can make it click tonight. Sawada likely to return tonight. 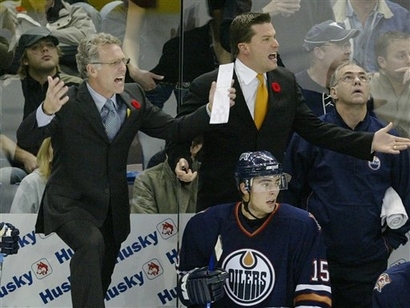 The Oilers coaching staff wears red poppies for Remembrance Day. You may have noticed in your watching of the NHL and AHL games of the past two weeks that coaches around the leagues are wearing red flowers on their lapels. Red poppies are worn during the two weeks prior to Remembrance Day (November 11th). Remembrance Day is much like Veteran's Day in the United States, a holiday that commemorates the end of World War I. Remembrance Day is celebrated throughout the British Commonwealth. So why red poppies? One of the best known pieces of literature created out of the war was the poem "In Flanders Fields" by Canadian John McCrae. The battlefield at Flanders during World War I bloomed with red poppies and are now used to signify the event. Additionally, the red of the poppies is an appropriate reminder of the blood shed in the war. Poppies have been worn as a marker of the day since 1921. Texas Stars forward Greg Rallo stopped by "The Bottom Line" this afternoon to talk a little hockey. In an effort to get more great content out to you guys, I'm going to be starting up a feature called "Quick Hits". During postgame interviews, I'll often ask one-off questions like the ones below to get some insight on topics other than the game that was just played. As I collect these, I will post them here and hope you find them interesting. Coach Gulutzan on the play of rookie Tristan King this last week. King has three points in his last 3 games for the Stars. "[Tristan] played hard, and he's coming along. He going to be a good player down the road. He's got lots to learn but he's a real sponge and he's got heavy skill. Once he learns more about the pro game, he's going to be a really good player." Greg Rallo on his experience at the Dallas Stars training camp. Rallo played in one game in the preseason against Tampa Bay, recording two shots. "It was amazing. It was a great chance for me to get up there and play with those guys and see where I match up. To get a game also against Tampa was awesome. It was the first time for me playing an NHL preseason game so I really enjoyed it and just tried to take it all in." Travis Morin on his experience at Dallas Stars training camp. Morin played in the Stars 5-2 victory over the St. Louis Blues, recording a goal on his only shot. 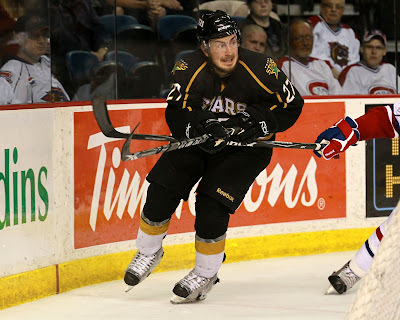 His goal was assisted by Texas Stars teammates Tomas Vincour and Philip Larsen. "It was nice to get a chance up there and actually get in a game in the preseason. It was something that was new to me, and it's something that you'll always remember. Hopefully at some point this year I can get up there and play in a real one."